The S&P BSE Sensex shed 156 points or 0.43 per cent to settle at 35,854 amid heavy selling in select blue-chip counters such as L&T, ICICI Bank, TCS and HDFC twins. Taking cues from global equities, the domestic equity market ended in the red for the third consecutive day on Monday. The S&P BSE Sensex shed 156 points or 0.43 per cent to settle at 35,854 amid heavy selling in select blue-chip counters such as L&T, ICICI Bank, TCS and HDFC twins. The NSE's Nifty50 index dropped 57 points or 0.53 per cent to end at 10,738. Out of 50 constituents, 38 declined while 12 advanced. Among the sectoral indices, metal stocks lost the most with the Nifty Metal index ending 1 per cent lower at 2,939.35. The Nifty Bank index lost 0.75 per cent to end at 27,248.25. On the other hand, pharma stocks bucked the trend and closed over half a per cent higher. In the broader market, the S&P BSE MidCap index settled at 15,102, down 75 points or 0.49 per cent while the S&P BSE SmallCap index ended 64 points or 0.44 per cent lower at 14,536. Shares of Jet Airways (India) surged 19 per cent to Rs 301 per share on Monday, gaining 24 per cent in the last two trading sessions on the National Stock Exchange (NSE), on reports that founder and chairman Naresh Goyal was likely to step down from the company's board and give up majority control. The stock ended 16 per cent higher at Rs 294.40 apiece on BSE. Shares of GAIL (India) hit a three-month low of Rs 322 apiece, down 5 per cent on the National Stock Exchange (NSE) on concerns of weak December quarter earnings. Since November 5, post-September quarter (Q2FY19) results, GAIL has underperformed the market by falling 12 per cent. In comparison, the Nifty 50 index was up 2 per cent during the same period. The stock, eventually, settled at Rs 325.20 apiece on NSE, down 4 per cent. Shares of Avenue Supermarts, which owns and operates D-Mart supermarket chain, settled 11 per cent lower at Rs 1,396 after it reported a disappointing set of numbers for the quarter ended December 31, 2018 (Q3FY19). The company has posted 2.1 per cent year-on-year (YoY) growth in net profit at Rs 257 crore. It had a profit of Rs 252 crore in the same quarter last fiscal. World stock markets stumbled and commodities took a hit on Monday after a shock contraction in Chinese trade pointed to deepening cracks in the world’s second-biggest economy and sparked fresh fears of a sharper slowdown in global growth. Latest data from China showed imports fell 7.6 percent year-on-year in December when analysts had predicted a 5 per cent rise, while exports dropped 4.4 per cent, confounding expectations for a 3 per cent gain. MSCI's broadest index of Asia-Pacific shares outside Japan slid 1 per cent from Friday's 1-1/2 month top for its biggest single-day percentage drop since Jan 2, with Chinese and Hong Kong shares the worst hit. 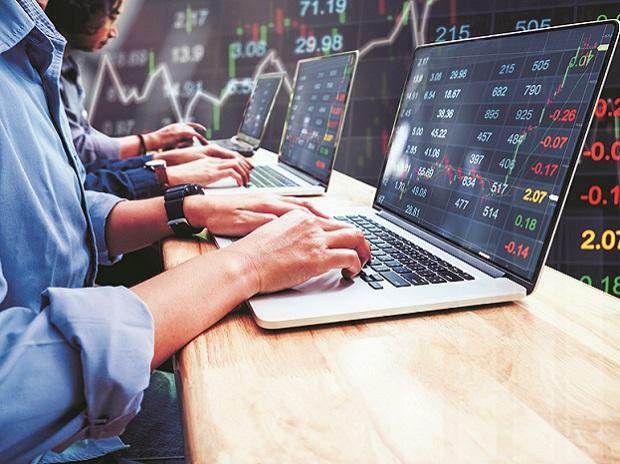 Market at close The S&P BSE Sensex ended at 35,854, down 156 points or 0.44 per cent, while the broader Nifty50 index settled at 10,738, down 57 points or 0.53 per cent. Brick & mortar retailers to get a 150-200 bps topline boost: CRISIL Ratings Revenue growth of brick & mortar (B&M) retailers could increase 150-200 basis points (bps) in fiscal 2020, as e-retailers re-engineer business models to conform to the revised – and more stringent – regulations, which would slow down their revenue growth.